A serial entrepreneur who has successfully raised over $625M in financing and completed several acquisitions and sales transactions, including two IPOs and one management leverage buyout (LMBO). 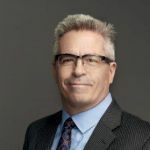 Mr. Boulanger has over 35 years of experience in senior management positions in several sectors, especially in the high-tech sector, with public and private companies. He has been a key player in carrying out complex financial deals as well as international marketing and commercialization strategies, and joint ventures. Mr. Boulanger had lead profitable international businesses with over $250M in sales. Mr. Boulanger became LeddarTech’s CEO in 2014 after being acting CEO for two years. Since 2008, he has also been President of Moody Management Inc., a private investment firm. Prior to LeddarTech, he was the Founder, President and Chief Executive Officer of Groupe Unipex SAS as of 2008. He was President of the Active Ingredients and Specialty Chemicals Division of Atrium Innovations (TSX: ATB) from 2004 to 2008. Before joining Atrium, he was the Founder and President of Québec International following a partnership with Phénix Capital. Over the course of his career, Mr. Boulanger has been a frequent keynote speaker at conferences, and has been actively involved with various committees, boards and associations. He currently sits on the boards of Chimie Parachem, Pieridae Energy and LeddarTech. In addition, he has been very active in Québec’s investment and entrepreneurial sectors with an investment portfolio of fifteen companies. Mr. Boulanger is also a limited partner of Fonds Innovexport (and representative of the private investors group) and a limited partner with Fonds Entrepreneur Capital Investments. He has been an active member of Anges Québec of which he was on the board of directors for over three years. Mr. Boulanger earned a degree in mechanical engineering from Université Laval in 1981 and graduated from the senior management program at the International Center for Research and Studies in Management (CIREM) in 1990. Prior to joining LeddarTech in April 2017, Claude Doré was Vice-President, Finance at Endoceutics, a position he had held since 2007. Prior to that, he held the same position at Delphes Technologies International, a private technology corporation based in Montreal, a role he had held since 2001. Mr. Doré served at PricewaterhouseCoopers from 1981 to 1988 (Quebec City and Toronto), and was Director of Finance with SNC-Lavalin, a leading international engineering group, from 1988 to 1993 in Toronto. He also served as Vice-President, Finance for the Canadian Chamber of Commerce based in Ottawa from 1993 to 1997. From 1997 to January 2001, he served as Vice-President, Finance and Chief Financial Officer of Nurun Inc., a major interactive technologies and communications agency. Mr. Doré holds a Bachelor’s degree in Administrative Science from Laval University, as well as an Accounting License. He obtained the Chartered Accountant designation in 1983. Recognized for his technical expertise as well as his vision, Pierre has numerous years’ experience in the development of high-tech products. Upon graduating from university in 1991, he joined CML Technologies, where very early on, his ability to manage projects in a pragmatic and efficient manner became clear. He quickly moved up the corporate ladder, while developing his management skills. Pierre has also designed a number of innovative, adaptable, practical and robust products that are used worldwide in strategic applications such as emergency dispatch and air traffic control, and he holds several patents for his work. He then continued his career at Adept Technology Canada and at DAP Technologies before joining the LeddarTech team in 2010. Pierre Olivier holds a degree in electrical engineering from Université Laval and is a member of the Ordre des ingénieurs du Québec (Québec’s order of professional engineers). Since early in his career, Richard LaRue has been involved with new technologies, their development, protection and commercialization. He has worked extensively with software and biotech companies, as well as start-ups, in all aspects of their business, including their constitution, the negotiation and drafting of international agreements and their equity and debt financing. Richard also has proven experience in corporate law, financing and equity transactions and mergers and acquisitions. 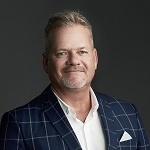 He has practiced in these areas across Canada, Europe, and the U.S. Richard joined LeddarTech as Chief Legal Officer in January 2019 to support their growth across several global markets. Richard began his practice in Montreal, Canada with a top-tier Canadian law firm. He then traveled to Brussels in 1992 to reinforce another reputable Canadian firm’s workforce heading into the European Single Market. Since then, he has been active in his preferred areas of law on both sides of the Atlantic. Richard holds Bachelor’s degrees in Business Administration (B.A.A.) with a specialization in Finance and in Civil Law (LL.B.) from Université Laval and was called to the Quebec Bar (Montreal Chapter) in 1983. He also became a professional chartered administrator in 1992. Richard joined the Brussels Bar (Francophone Section) in 1994 after having obtained his Belgian Law diploma equivalency from the Université Libre de Bruxelles. Richard is a member of the Canadian and International Bar Associations, an associate member of the American Bar Association, as well as a member of the North American Chapter of the Association of Corporate Counsel. He has been recognized as a Fellow in the Practice of International Law by the International Bar Association jointly with the College of Law of England and Wales (now known as the University of Law, London, U.K.). With a passion for building great teams that build great products, Antonio Polo joined LeddarTech as Vice President, Engineering in June 2018, working closely with the entire engineering team to support LeddarTech’s growth and accelerate product development.Antonio brings a solid engineering career spanning over 25 years to his new position at LeddarTech. With more than 10 years’ experience in key leadership positions, he has served as Head of Systems Engineering, VP of Engineering, and Head of Software Engineering, a position he held for more than eight years during an 18-year career at EXFO, where he played a key role in positioning EXFO as the worldwide optical test solutions market leader in the Telecom industry. 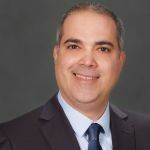 In addition to his leadership positions, Antonio has held various engineering-related management positions, including Project Manager, Engineering Project Lead, and Lead Software Engineer, a role he held for over six years at Cubanacan S.A.
Antonio holds a Bachelor of Science (B.Sc.) in Software Engineering and a Master of Business Administration (Executive MBA) from Laval University. He also undertook studies in the Executive Entrepreneurship Program at Babson College. With more than 20 years’ experience in the technology industry which includes strategic business development and marketing, Daniel Aitken is responsible for development and execution of the corporate marketing and communications plan and sustaining corporate brand and strategic initiatives. As part of this mandate, he oversees public relations, the corporate brand, strategic planning and partnerships. Daniel began his marketing career in 1994 and transitioned into the technology industry in 1996 eventually becoming the Director of the Strategic Business Development Unit of Future Electronics. As president of his own marketing agency Daniel re-located to Los Angeles in 2008 where he provided consultancy services to various corporations. In 2012 he joined the German based tech company ZMDI where he successfully held the position of Director of Global Marketing and Communications. 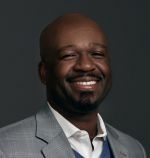 He later relocated in 2016 to Silicon Valley to lead the marketing efforts of Integrated Device Technology as Senior Director of the division. Daniel joined LeddarTech in August 2018 as Vice President of Marketing and Communications. 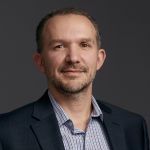 Michael Poulin began with LeddarTech since 2010 and is responsible for the leadership of the product management division, which also includes applications engineers and system specialists. This team is devoted to delivering a LiDAR platform that enables our customers to develop their own optimized LiDAR solutions that satisfy their mobility application requirements while maximizing value for them and their end-customers. He is an accomplished negotiator with a passion for a customer service and a very strong technical understanding of the market needs of automotive customers. Adrian’s experience includes being Vice President of Global Sales & Marketing (GSM), Americas, for NXP Semiconductors. Prior to the merger with NXP in December 2015, he was Vice President for Americas Sales and Marketing for Freescale. Adrian earned his BBA in Management and Business from St. Edwards University. For nearly 20 years, Michel Brûlé has pursued two careers, in part concurrently: first, at École de technologie supérieure (ÉTS) as a professor, researcher and dean, and secondly in business, as an entrepreneur and the founder of six technology companies. He sold two of his companies in 2000, including Inno Media Logic (IML) Inc., a transaction that was described as the “Best VC Deal in Canada for 2000.” Around the same time, he began a career as an angel investor with the creation of Investissements M&M. He also had a hand in starting up the FIER Longueuil regional economic intervention fund. In recognition of his contribution, the National Angel Capital Organization named him “Canadian Angel of the Year” in 2010. Michel Brûlé sits on the Board of Directors of Investissement Québec, the Anges Québec network, Cogiscan Inc., Octasic Inc. and Varitron Technologies Inc. He is also a member of the Advisory Board of Ontario-based OMERS Venture Capital. Mr. Brûlé holds a bachelor’s degree and a master’s degree in electrical engineering from the University of Ottawa and is a member of the Ordre des ingénieurs du Québec. He also received an honorary Ph.D. from University of Ottawa in 2012. 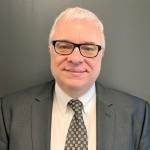 A graduate in engineering from Laval University in 1981 with senior management training from the International Center for Research and Studies in Management (CIREM), Charles Boulanger is recognized for his decision making ability in complex and dynamic environments. Over the past 30 years, his leadership allowed him to occupy senior management positions both nationally and internationally in several industrial sectors with companies such as Shell Canada, Irving Oil, GSI Environment and Prolab Technologies. He has been involved in several IPO’s, LBO’s, mergers and acquisitions and complex financings as well as in international joint ventures. Allergic to the status quo, he carries a vision and a business strategy focused on development and growth. He is known for being a creative leader with a strong capacity for analysis and synthesis and an excellent understanding of markets and marketing. Fabio Gambacorta is Vice President, Sales and Business Development of Octasic, a global provider of media and wireless baseband processing silicon and software solutions for the converged carrier, enterprise and end-point communication equipment markets. Prior to joining Octasic, Mr. Gambacorta served as Director of Business Development, New Network Access at NMS Communications and Director of Sales at InnoMedialogic. He draws upon his extensive experience in the telecommunications and electronics industries to guide corporate strategies, sales and business development initiatives. He holds a BSEE from the Polytechnique University of Montreal and a MBA from Cornell/Queens. Nicolas Landrin earned his M.S. degree from ENST and his MBA from the Harvard Business School. Prior to becoming a venture capitalist, he worked for 10 years in the telecommunications industry with AT&T and Lucent in the USA and in Europe. He was responsible for Marketing and Business Development for new operators at Lucent Technologies. Then he was the Director of Alliances and Business Development for Europe at Kenan Systems, the leading vendor of billing systems. He joined iSource in 2001 where he’s in charge of Telecommunications investments. Simon Morris is the Chief Executive Officer of CogniVue Corporation which was launched in 2010 and is now a leader in licensing of embedded vision processor technology. Mr. Morris is a technical business leader with 28 years of experience, of which the last 19 years were spent building semiconductor businesses primarily based on programmable DSP based technologies. 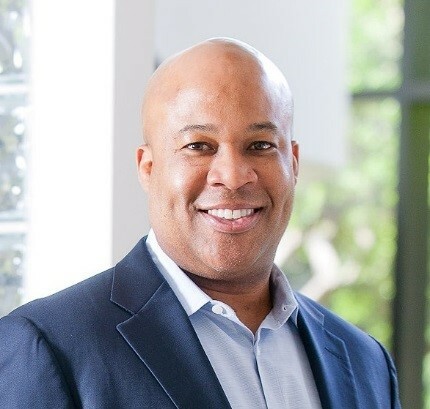 Prior to launching CogniVue, Mr. Morris was Director at BDC Venture Capital, responsible for investment strategy with a focus on advanced technologies and semiconductor. 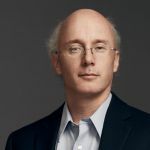 From 1995-2006, he held various senior and executive leadership positions at Atsana Semiconductor, a venture-backed massively parallel processor company, and senior business positions at Texas Instruments (TI). At TI, his team established the highly successful Communication Infrastructure business, leading the development of TI’s first 3G base station chipsets and TI’s first C64X based DSPs – winning nine out of ten base station customers. He also worked in the Wireless Terminals Business Unit at TI, and later led the Mobile Digital Broadcast business. In 2014 he was selected as an E&Y Entrepreneur Of The Year award finalist. Mr. Morris holds an M.Eng in Electrical Engineering and a B.Eng in Electrical Engineering from the Royal Military College of Canada and is a member of the Professional Engineers of Ontario. 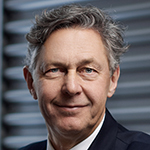 Mr. Robert Baumann has been serving as a member of the LeddarTech supervisory board since 2018. He is the CFO for the Automotive and Special Lighting Business Unit of Osram AG, in Germany. From 2001 to 2018, he held several leading finance positions in the US, Asia and Europe, and has a strong experience in implementing new business models. Mr. Baumann holds two Master’s degrees, one in business administration and the other in law. He is described as an energetic and communicative finance executive with more than 20 years’ global finance experience in B2C and B2B within various industries (automotive, consumer electronics and lighting), is results- and improvement-driven and acting as a strong business partner to the CEO/Management team. He combines strong leadership skills with a focus on people and team development through empowerment and coaching, and has worked and lived in Austria, Denmark, the USA, Singapore, Netherlands and Germany. Peter Marks joined the LeddarTech Board of Directors in October of 2018. He is the owner of Executive Consulting Charleston, South Carolina, USA. Mr. Marks has extensive experience serving as a member on several Board of Directors. He is presently a board member at Broadcom Inc. and Executive Advisor at Gryphon Investors. He has decades of automotive industry experience, most notably in his past position as Chairman, President and CEO of Robert Bosch LLC, where his responsibilities included the Americas, as well as the global coordination of manufacturing worldwide. Mr. Marks has 35 years’ experience in industries such as automotive, technology, consumer goods and building technology, as well as in businesses serving different sales channels worldwide, including in North America, South America, Germany, Hungry, Russia, France, Netherlands, Belgian, Portugal, Spain, Japan, Korea, India, China, Australia and South Africa. He has a keen interest in organizational development for leadership, strategic planning, production systems (LEAN manufacturing), engineering systems, project management and global business unit organization. Mr. Marks holds a master’s degree in engineering from the Fachhochschule University of Applied Sciences, Germany.